Native to the East Mediterranean, parsley could be the most popular herb in cooking. Some cuisines use it so abundantly that it takes on the role of vegetable. To keep fresh parsley in the refrigerator for several weeks, wash the entire bunch in warm water, shake off all excess moisture, wrap in paper towel and seal in a plastic bag. If you need longer storage time, remove the paper towel and place the sealed bag in the freezer. Then simply break off and crumble the amount of parsley you need for soups, stews and other cooked dishes. The leaves can be minced and used fresh to brighten the flavor of sauces and soups. In France you see parsley used in persillade (persil is French for parsley), the traditional garnish composed of fresh parsley and garlic that is added to a dish just before the end of cooking. The stems can be saved and used for adding to stocks or flavoring soup base. If the stem is tender it can be minced and added to your dish. Dried parsley tends to lose flavor quickly so it is best used fresh. Parsley root, also known as Hamburg parsley, originated in Germany and is grown for its carrot-like root that tastes like a cross between parsley and celeriac. 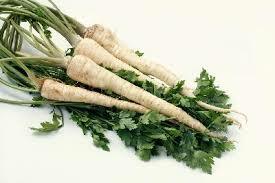 This white root has a green top that resembles the herb parsley and can be used as such. 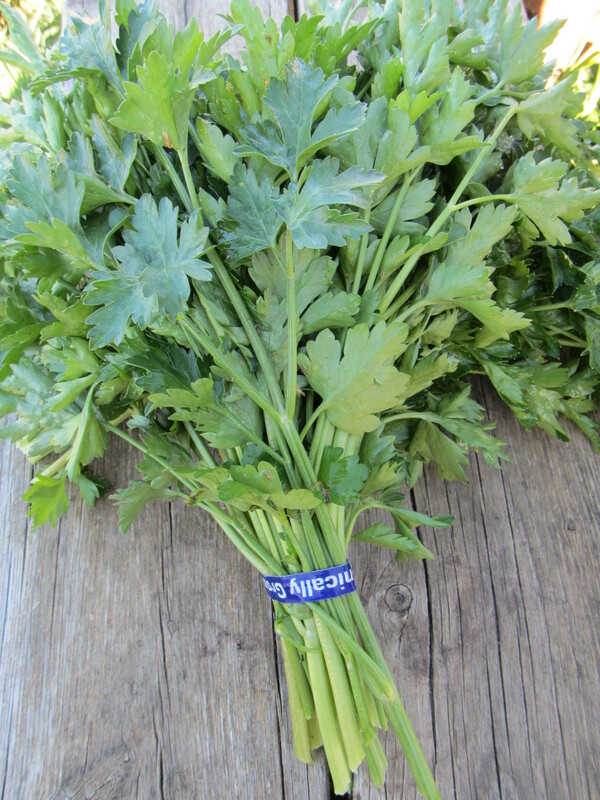 The parsley root can also be stored in a plastic bag in the refrigerator. It should last a few weeks but the greens will only last a few days. Remove leaves when you are ready to use the root. This root vegetable is popular in parts of Europe and is often found in soups. In addition to soup, parsley root will take well to roasting, mashing (mix with potatoes), boiling, steaming and braising. The flavor of the root pairs well with other root vegetables, cabbage, potato, onion, barley, horseradish, beef, and chicken. If the outer peel of the root is tender, it won’t need peeling, just a good scrub to remove small hairs and any dirt. For instructions on storing and drying herbs visit this page.